Having perennials near Welling for your garden is remarkably simple now. All you have to do is drive down to our garden centre near Welling and get all the perennials you would ever want to have in your garden. We have the complete range of perennial plants available near Welling: hardies, tenders, and all the other kinds. Also, take a look at our beautiful house plants. Perennials are wonderful plants, all year long. They bring a lot of colours and fragrances to the garden but what makes them valuable is the fact that they keep flowering and giving fruit in their annual season many times over. Since there is a lot of demand for perennials in Welling gardens, we make sure our inventory is well-stocked and our customers can get all types of perennial plants they want. Hardy perennials are the toughest type of perennial plants. They can survive the cold and frost of English winters. However, some of them have higher endurance than others. So, you have to be careful about which ones you get for your garden depending on which part of the country you live in. We stock some of the toughest and most popular hardy perennials near Welling in our garden centre, including Buggleweed, Yarrow, Hollyhock, Blue Star, and Lady’s Mantle. Herbaceous perennials are sneaky. If you do not know your herbaceous perennial plants, they can trick you in believing they are done after a season. That is because this type of perennials show all signs of having deceased except their roots stay intact and alive, and they come back to life in the following season. Interestingly, the most common perennials are often herbaceous. 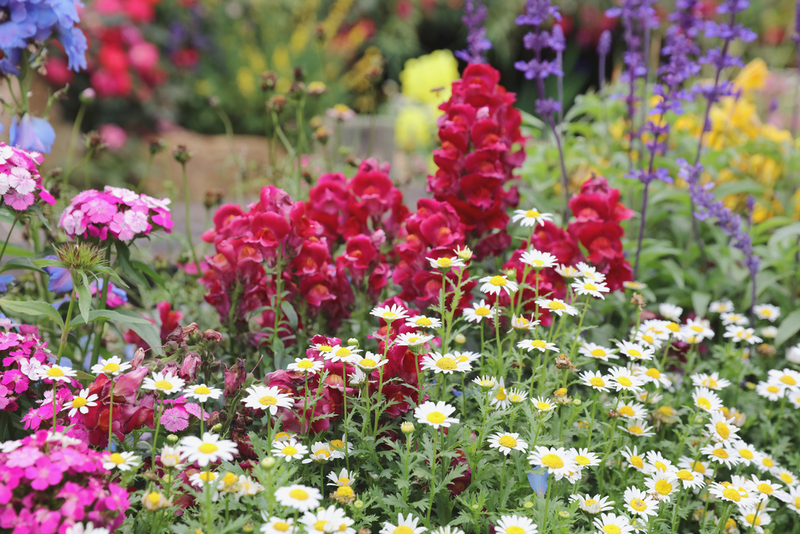 Our popular herbaceous perennials near Welling include Daisies, Peonies, Salvia, and Columbines. Woody perennials are simply shrubs and trees. These are the kinds of plants that have a strong shaft and branches and do not lose even the appearance of their form after one season. Year after year they keep giving flowers and fruit. Our displays of woody perennials near Welling have many fruit trees and shrubs. Semi-woody perennials are not so woody in comparison. Nevertheless, they have a woody base and often grow a stem. Our most popular semi-woody perennials near Welling include Rosemary and Lavender. Tender perennials do not have the endurance to survive an English winter out in the open. If you want to keep a tender perennial overwinter, you will need to provide them appropriate shelter and a lot of care during the rough season. Our most popular tender perennials near Welling include Begonias, Caladiums, and Calla Lilies because they can survive a winter indoors most of the day. You have to visit our nursery near Welling to get the best collection of perennials for your garden. We are keen on making sure all of our perennials are locally grown, which means most of them are grown in our own nurseries with specialised care and high-quality feed, none of our plants is bought from other parts of the country to be sold to our customers in Welling. Our focus on quality is never compromised and we offer three year guarantee for our hardy perennials. When you visit our garden centre, you should talk to our experts about the best options of perennials for your garden. They will point you to the perfect plants and save you a lot of time and money. Visit us soon to get all your perennials near Welling! Looking for online plant tips?